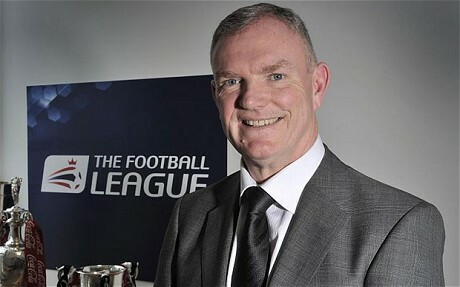 Football League Chairman Greg Clarke on Sky Sports News tomorrow talking about Coventry City situation. The Chairman of the Football League, Greg Clarke will be featured on Sky Sports News tomorrow talking about Coventry City’s current situation. From 6am BST tomorrow (Tuesday, June 18th) a pre-recorded interview with Clarke will be featured on Sky Sports News on ‘Good Morning Sports Fans’ and throughout the day. It is unclear at the moment of publication whether Clarke will talk about the petition which has gained 5,000 signatures in just two days, which is calling for the Football League and Football Association to look into the proposed buyout of Coventry City Football Club Limited by Otium Entertainment Group Limited – a company linked to current owners Sisu. It was announced by joint-administrator, Paul Appleton last Friday, that Otium were the preferencial bidders for CCFC Limited, after he had recieved four ‘Final & Best Offers’ for the club, including one from American businessman Preston Haskell IV, who is not not refusing the possibility of taking over the Football Club according to today’s Coventry Telegraph. In a double tweet by Dan Donovan (@danieldonovan,) a sub-editor for Sky Sports News originally from Leamington, it is suggested that the Football League will not be standing in the way of Otium’s buyout of the subsidiary of Coventry City Football Club currently in administration. Catch the interview from 6am on Sky Sports News tomorrow. « Petition to the Football League & FA reaches 5,000 signatures. Dear Chairman,Mr Clarke. How can a part of a company that is in administration,own a company, that is going to take out of administration. How can a company of “proven Failure” be granted and be presented with a “Fit and Proper”,mention. Mr Fisher,Mr Brody etc,.has taken a football team and its supporters from a stable leauge club into a state of confusion,and disbelief. They have put us into administration for not managing a finance package to ensure a promotion push. And think they can falter on Rent, i know its retorical but if i miss 2 months rent i recieve letters that threaten leagal proceedings. They have alienated the vast majority of Coventry City Supporters and its population of 380,000. If the go ahead with Otium is permitted you will give the nod proberly to the demise of Coventry City, a club that has produced national managers and players. They have TWICE had a player embargo implemented against them, if they new it was a possibility of this happening, why did they not secure funds, They could not ,They did not.